In a normal Web-Application all files are somehow stored as files in the app directory, but sometimes it could be handy to embed those files. One scenario could be that you have a “library”, which can be integrated in a larger application. 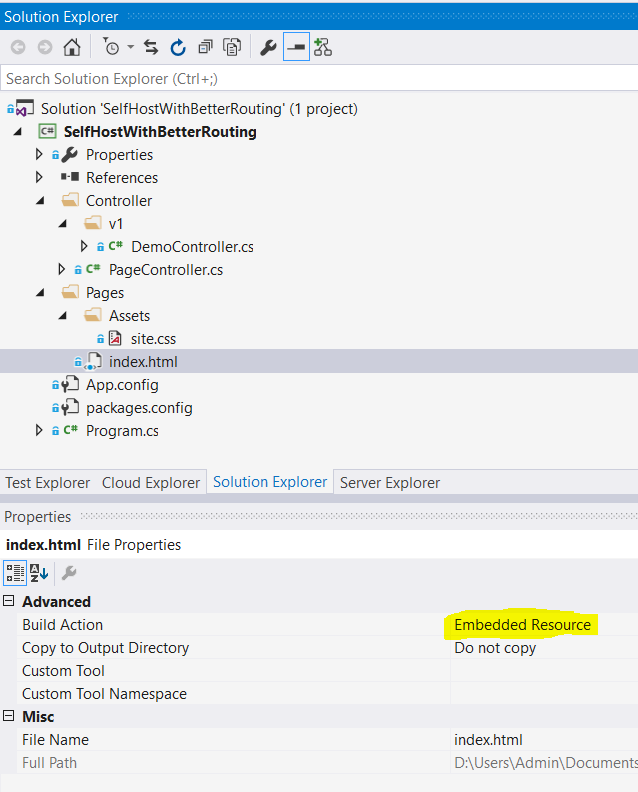 If you don’t want to pull over all files and you just want to expose a single assembly (for example as NuGet package) embedded resources might come handy. Important is, that my “target” html and css file are marked as Embedded Resource. 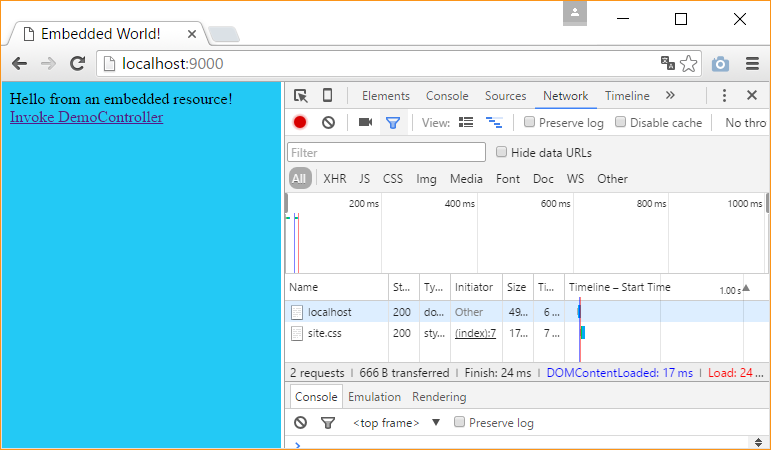 In my sample I have created on “PageController”, which accepts all requests that seems to target the embedded files. This controller will try to read the HTTP GET PathAndQuery and will look inside the assembly resources for something with the same name. // folders will be seen as "namespaces" - so replace / with the . In my sample the “PageController” will catch all requests that are not handled by other controllers, so you could even serve a general 404 page. With this web.config setting in place the request should route through your code. In an older blogpost I used a similar approach, but the routing part is now “better” solved.